The MBC TV mini-series Princess Hours and the KBS TV2 mini-series My Rosy Life have gone on the air in Indonesia. Indonesian private broadcaster Indosiar has been airing My Rosy Life Mondays through Fridays since August 14, and Princess Hours on Mondays since August 16. 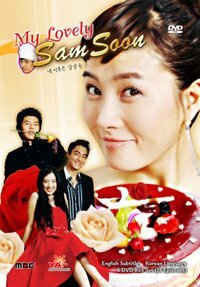 Princess Hours has drawn a favorable response from Indonesian viewers for featuring beautiful royal costumes against a modern backdrop, while My Rosy Life struck a chord with Indonesians by portraying the importance of family affection and depicting death in a beautiful way, in a break from other Korean dramas that mostly portrayed death as a tragic and gloomy event. The first Seoul Drama Awards, an international award given to TV dramas produced worldwide, will be held August 29 at the KBS Hall in Seoul. Organized by the Korean Broadcasters Association and sponsored by KBS, MBC, SBS, EBS and the Korean Broadcasting Commission, the ceremony has garnered significant attention for introducing the first international award for TV shows. Another noteworthy aspect is that the nation’s three major terrestrial TV broadcasters have joined forces in establishing the award. The organizers of the ceremony said the purpose of the ceremony is to publicize Korean TV dramas to the world and foreign TV dramas to Korea. The award will be given to TV shows produced not only in Asia but also in the United States and Europe. Hosted by actor Ryoo Shi-won and anchors Hwang Su-kyung and Han Seok-jun, the first ceremony will be attended by a number of top stars, such as Kim Sun-ah and Choi Su-jong. A total of 105 TV dramas from 29 countries will compete for the award this year. The jury will be headed by producer Yoon Seok-ho, who produced the hit drama Winter Sonata. The winner of the top prize will receive 10,000 dollars. The awarding ceremony will be broadcast live August 29 by KBS; the eve party slated for August 27 will be broadcast by MBC. MBC TV’s drama My Name is Kim Sam Soon has been nominated for best miniseries and best lead actress, while KBS TV’s Emperor of the Sea was nominated for best full-length drama and best lead actor. Other Korean dramas to compete this year include MBC TV’s Royal Palace and Taeneung Athletes’ Village and SBS TV’s Hanoi Bride and Paris Lovers.